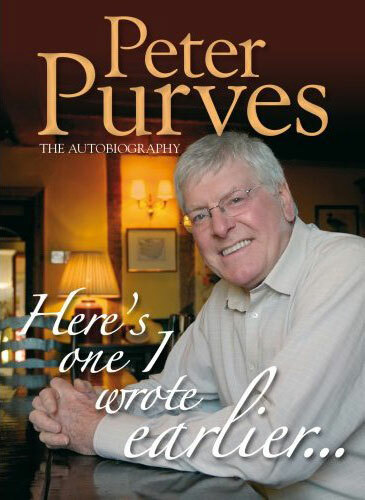 Note: Autobiography of actor and TV presenter Peter Purves, best known in Britain for his 11 years presenting Blue Peter in the 60s and 70s — but also of course his time on Doctor Who in the mid-1960s, playing Steven Taylor, companion to the First Doctor. Peter Purves is the actor, presenter and talented director who first shot to fame appearing with William Hartnell in 44 episodes of Doctor Who playing his companion Steven Taylor. His varied career is perhaps most well remembered for his 10 year stint as part of the Blue Peter Dream Team with Valerie Singleton and John Noakes. Most people have a specific memory of this golden age of British television amongst them the infamous 'Lulu the elephant' scene and Peter's early partnership with Petra who was immortalized in the Blue Peter garden. Following his departure from Blue Peter he famously presented another kids favourite Kickstart and Junior Kickstart which became cult summer holiday TV. Peter is also well known for his association with Crufts. He first began presenting coverage for the BBC in 1976 and has been closely associated with it for over thirty years. 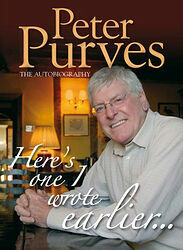 Peter Purves - My Autobiography is a look back at Peter's career and fascinating life and is a celebration of one of Britain's best loved presenters.